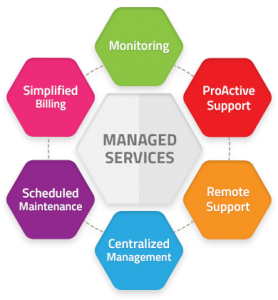 Managed Services Provider (MSP) - Inner Net Inc.
(MSP) A managed service provider (MSP) is a company that remotely manages a customer's IT infrastructure and/or end-user systems, typically on a proactive basis and under a subscription model. Inner-Net, Inc offers our customers the ability to have us manage their IT infrastructure through our Managed Services Provider contract. This is the best way that our customers can control cost and get all the needed services for their business at a low monthly fee. Better than simple break fix, the MSP’s model is proactive in managing the IT infrastructure by performing regularly scheduled checks on the customers devices including servers, workstations, and printers which keeps down-time to a minimum or not at all and at the same time controlling cost. The proactive approach is the best way to maintain IT systems and insure that a customer’s business systems are up and running 99-100% of the time they are needed. Most businesses are eligible for MSP monthly service, especially if they have on-site servers, workstations, printers, and/or local software systems needed to conduct their daily operations. 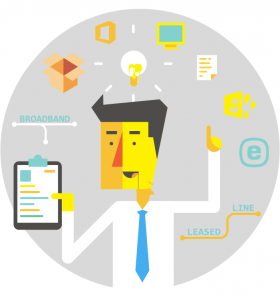 Having remote users logging into and using local resource or cloud services adds to the need for an MSP contract. Most small to medium size business don’t have on-site IT Management therefore; they would greatly benefit from an MSP contract. MSP service providers usually include in their contract the responsibility for data security, local and off-site backup, desktop security, and everything that business owners and management are not good at and would rather have someone else be responsible for, so they don’t have to worry about it and can then concentrate on running their business.